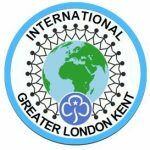 Girlguiding Greater London Kent has 1,000 adult volunteers who help in a wide range of ways to give over 5,500 girls the chance to experience all that Guiding has to offer. Interested in getting involved or finding out more? Register your interest. A lead volunteer from your local area will make contact you within 21 days of you registering your interest.